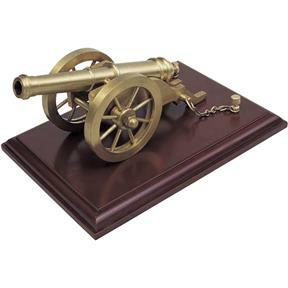 Styled after the field artillery pieces of the Napoleonic wars, this all brass cannon makes a great display piece. 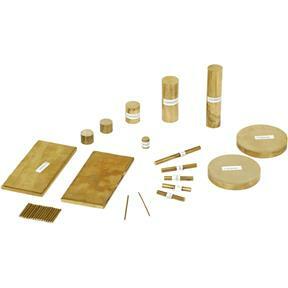 Basic machining skills are required to complete this kit. The finished kit is 6-3/4"L x 3-1/4"W x 2-3/4"H. The base is 7-7/8"L x 5-3/8"W. Wood base not included. This kit is very nice, it contains all the necessary pieces, and you turn each one to it's final dimensions. the prints are in booklet form and are in metric measurements. I am an amateur and I was able to turn everything without any problems. It was a fun project. The wood display base is not included.